The Slimline and Premium Log collection add rustic character over standard log bedroom sets and feature the highest quality construction available built by local craftsmen. 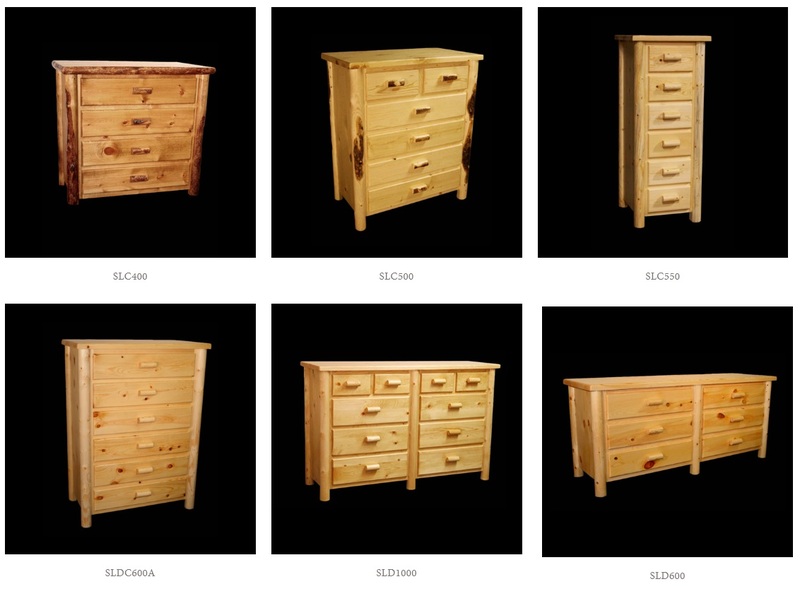 Nightstands, Chest of Drawers, & Dressers feature 100% solid wood construction and the Premium Collection offers full extension ball bearing drawer glides and jumbo 9" Drawer Faces. This group is available in many different stains and customizable dimensions! 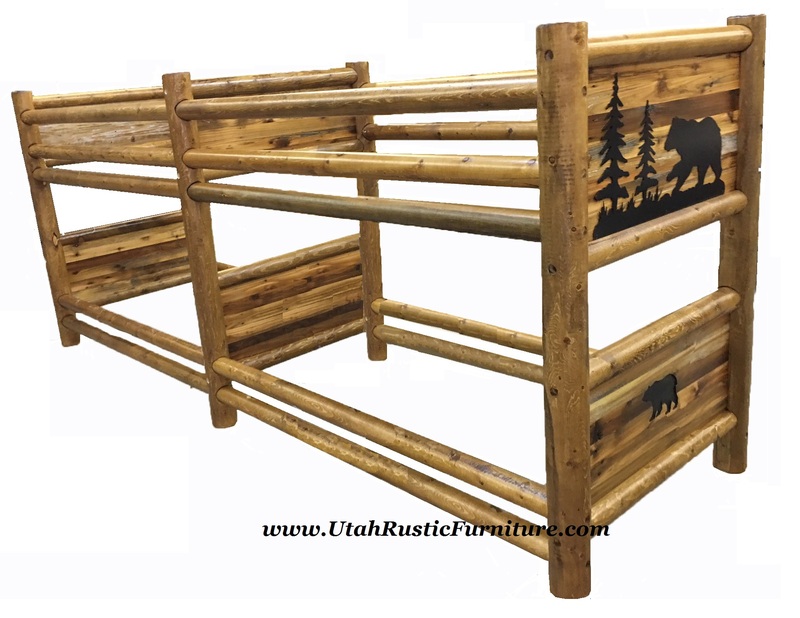 The Premium Bunk upgrade features 5 1/2" posts instead of the Slimline 4 1/2" posts and metal sleeve inserts for extra durability on each rail backed with an exclusive limited lifetime warranty and even bunk pallets for added strength which allow adults to sleep on top if needed. 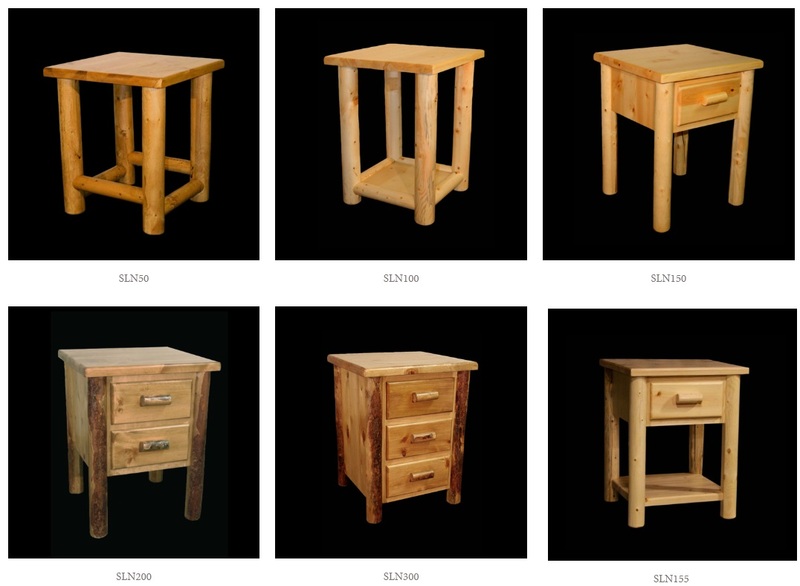 We show our most popular nightstands, dressers, and chests below but note that all pieces can have more or less drawers which will adjust the price higher or lower. Allow approximately 4-6 weeks to build and ship. Add $70 for up to 8" more Height between beds for Adults. Add $70 for 8" more of Height between beds for Adults.